SOLD $92,500 AUCTION! 10,000 Sq. 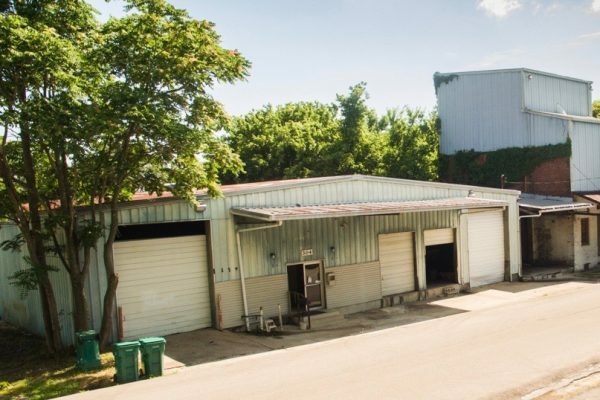 Ft. +/- Commercial Building w/ 2 BA Personal Property, Guns and Tools | Middle Tennessee Real Estate :: Maples Realty & Auction Co.
Real Estate: Rare Opportunity!!!! Over 10,000 sq. ft. commercial building with loading dock and railroad access. Plenty of storage space, light industrial, “Handyman Special.” The possibilities are unlimited! Conveniently located in downtown Lewisburg, shopping, dining, and I-65. Personal property includes guns, tools, building supplies and much much more! Personal Property: Guns: 22 rifle, Winchester bolt action rifle, single shot 20 gauge “Savage model 94” shotgun, single shot 12 gauge shotgun, double barrel shotgun made by A.H. Fox Gun Co., Sterling Worth Co. double barrel shotgun, Colt 357 magnum revolver, 32 Smith & Wesson revolver, 22 revolver, and Super Comanche 45 caliber pistol also 410. Building Materials: Shelves, shower doors, windows (old and new), doors, lighting (new and used), tile, plumbing supplies, sinks, tubs, commodes, trim, crown molding, sprinklers, wallpaper, lightbulbs, nuts, bolts, screws, cabinets, and wiring. Tools: Wheelbarrows, air compressors, ladders, tools, sprayers, drills, washtubs, battery charger, cordless drills, lawnmowers, sanders, grease gun, dollies, and flashlights. Furniture: Sofas, chairs, desk, bookshelves, beds, and kitchen table. Appliances: refrigerator, washer and dryer, freezer, gas grill, and vacuum cleaners. Miscellaneous: Hubcaps, gas cans, boxes of chrome fender covers, fishing lures, trolling motors, knives, wheelchair, office supplies, filing cabinets, mason jars, stationary bike, luggage, books. cookware, electric organ, wine rack, and much more. Directions: From Nashville take I-65 S towards Huntsville, go 50 miles to Exit 32 onto Mooresville HWY, TN-373 toward Lewisburg/Columbia, left onto Mooresville HWY. Take a right on 5th Avenue South. Take a left on Maple Street. The property is on the right.